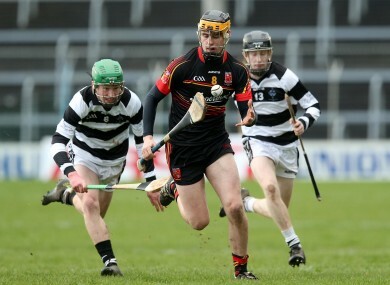 Brian Ryan in possession for Ardscoil Rís in the recent Croke Cup final. THREE PLAYERS from the Ardscoil Rís side that contested the recent All-Ireland Croke Cup hurling final will start for Limerick in their Munster minor hurling opener against Clare tomorrow. Centre-forward Darragh Carroll, wing-forward Brian Ryan and corner-forward Conor Boylan all played in the recent schools decider where Ardscoil Rís lost out to St Kieran’s. There are six survivors from the Limerick team that lost last year’s Munster minor hurling decider against Tipperary. Carroll, Ryan and Kyle Hayes all started in that clash in Semple Stadium last July while William O’Meara and Boylan came on as substitutes. Centre-back Ciaran O’Connor was also part of the Limerick panel for that clash. Former Clare and Dublin hurling boss Anthony Daly is a coach to the Limerick minor side while the team is managed by Pat Donnelly. Throw-in for tomorrow’s game at the Gaelic Grounds is 7pm. Poll: Who do you think will win this week’s Munster and Ulster U21 football finals? Email “Three players from Ardscoil Rís All-Ireland final side to start for Limerick against Clare”. Feedback on “Three players from Ardscoil Rís All-Ireland final side to start for Limerick against Clare”.